Infocrabs offers the most advanced e-commerce solutions technology to accelerate our business. Today E-commerce has changed your lifestyles entirely because you don't have to spend time & money in traveling to the market. You can buy and sell almost everything at your doorstep with the e-commerce. The E-shop provides you many advantages to grow your business. 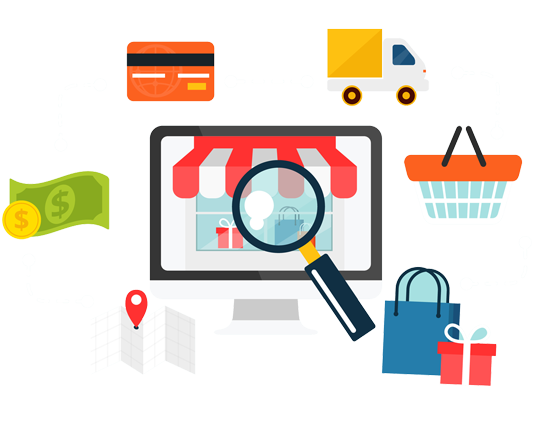 Infocrabs is leading Ecommerce website development company in Durgapur & top ecommerce service provider among India. E-commerce is the cheapest source where you reduce the cost of promotion. E-commerce website or application provides no time barrier to selling the products. The on time alerts in E-commerce app provide the convenience of informing the consumers about new products and services.